The Magnet Sophomores looked surprisingly excited as they lugged monstrous suitcases of clothes and trashbags of old towels at their sides through the halls of Blair. They were met by the confused stares of other students, unsure about why the mass of students in matching navy shirts was gracelessly dragging more than 100 suitcases down the stairs. Once outside, the students loaded their luggage onto the charter buses and boarded. They proceeded immediately to voting on movies to watch during the ride, with the exception of Mr. Schwartz’s bus, where he ignored democracy and pressed play on The Princess Bride. In every row, students were chattering amongst their friends about their upcoming trip to Wallops Island. The three-hour bus ride was filled with complaints about the sudden loss of signal, thirty-minute power naps, and card games on mini aisle tables for those who managed to snag the coveted table seats. The three-night stay at the Chesapeake Bay Field Station on Wallops Island has long been a magnet tradition. Students look forward to the trip from the very beginning of sophomore year, tempted by the stories of upperclassmen. The trip, which took place from April 11th through 14th this year, is an opportunity for magnet students to learn more about the ecosystems in the Chesapeake Bay area. During the four day trip, students attended several indoor lessons and outdoor excursions. 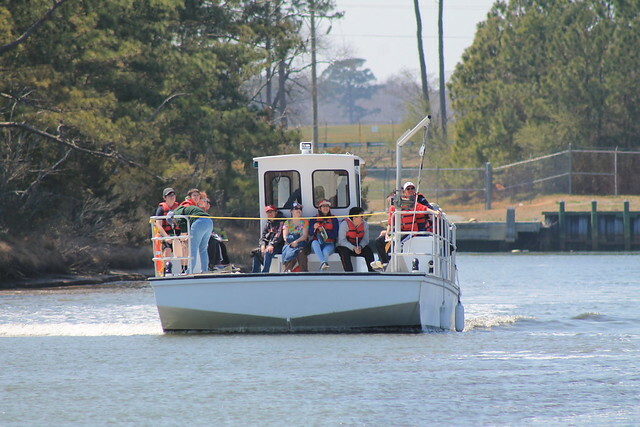 One lesson included information about the research vessels the students would be collecting water data on, as well as the instruments they would be using to collect this data. Another was about the ecology of the island, which is situated between the bay and the ocean. The third indoor lesson dealt with the examination of the organisms caught throughout the trip. 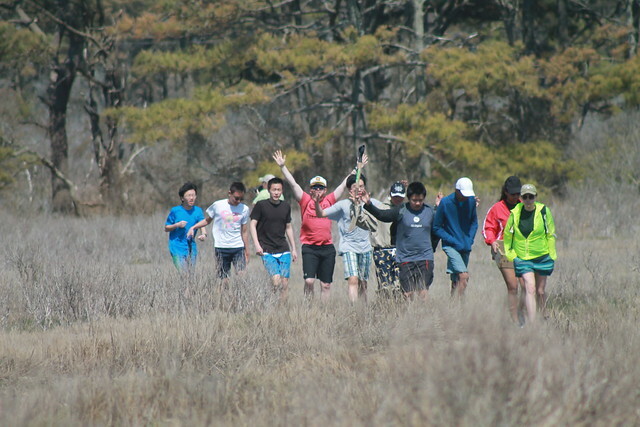 Students traveled to the dunes of Wallops Island, driving through the NASA base located there. The instructors pointed out the launchpad and a few more of the striking structures that could be seen from the road. The students took a short hike through the maritime forest, the barrier flats, and several dunes with a variety of heights, all the way down to the beach. Once on the beach, the students collected shells and found a variety of organisms including horseshoe crabs, whelks, clams, and blue crabs, reveling in the unique experience of standing on a beach otherwise closed to the public. New activities were added this year, partially because human activity was destroying the marsh that students had swum through in previous years. In Fish Biology, students went to oyster castles in hopes of catching fish. They waded through water up to their chests, small nets in hand. The other new activity involved collecting and identifying marine invertebrates, like the black-fingered mud crab and boring sponge. The students also explored the intertidal zone, an area underwater during high tide, but above water during low tide. Led by the instructors, the students were able to catch a few dozen fish in the lowest area, the sublittoral zone. They formed a line in the water and sloshed through the mud to force the fish into a net. In the intertidal zone, students also discovered worms, a baby diamondback terrapin, and a few small crabs. The students rode on the research vessels of Captain Tom and Captain Jimmy in Cockle Creek. With the beautiful sea breeze blowing the students hair about, they performed various tests on water temperature, pH, current speed, and turbidity. The students enjoyed setting out an otter trawl, a process in which students have to throw the net off the boat and then pull it back onto the boat, full of organisms from the creek. They then sorted through the seaweed to find a slew of shrimp and tiny crabs. The final day was spent looking at the organisms the students had gathered during the past two days. Each student picked out their favorite and tried to identify what species it was. The students also sketched plankton under a microscope, meanwhile identifying what kinds of plankton they were looking at. While the daytime lessons were undeniably fun, most students would agree that the highlights of the trip were the nighttime activities. Though nothing was officially planned for the first night, math teacher Mr. Schwartz ran a game called “Survival with Schwartz” , after which students came back absolutely enlivened but were forbidden from discussing the details. Meanwhile other students were busy in the common room crushing Ms. Duval, Captain Kirk, and Mr. Gonzalez at Scattergories. Some students even played soccer, football, or volleyball in the field outsides the suites, with one flip-flop wearer breaking his toe during a game. The second night, all of the magnets were bused to a mini-golf course and go-kart track in Chincoteague. They raced against their friends (including Mr. Paul), played foosball and air hockey in the arcade, took pictures on the mini-golf course’s comically large Adirondack chair, and putted their way through the 18-hole course. Other night activities included a hike and a shark dissection. The half-mile night hike followed a path on Assateague Island, and students were able to see The Big Dipper, the North Star, and Orion’s Belt clearly from the path. A few students on the walk, against the wishes of the instructor, had fun scaring their friends by popping out from behind trees in the pitch-black night. 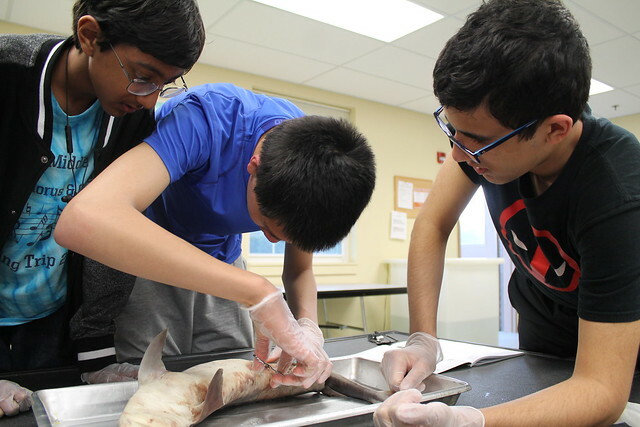 At the same time, the other group of students performed a shark dissection during which they learned about the function of its organs and were surprised to find an almost whole squid in the stomach of a shark. The mornings were also filled with student activity. Students woke up at the crack of dawn to drive to Assateague, taking pictures with their friends of the sunrise and bird watching on the beach. Some students on the track team ran a loop around the complex in the mornings as well, yet the majority of students chose to spend the precious hours before breakfast fast asleep in their rooms after nights full of conversation. During free time between meals and activities, students had the honor of attending a “jousting” match between the teachers. Though the rules were unclear, the students watched gleefully as teachers galloped at each other with dowels tucked under their sunglasses. The teachers even scavenged for shields, and found that the lids of first aid kit boxes served this purpose quite well. Students played a variety of games during free time as well, like cards, the balancing game, the splits game, and several sports. The weather on the last day of Wallops was glorious, and though tired, many magnets would have liked to return to the beach and bask in the sun, or take another ride on one of the Wallops research vessels. Alas, they were forced to return home. After snapping a class photo in front of the facility’s entrance sign and forming an assembly line to repack the bus, the students departed. The bus on the way back was much quieter, with students sleeping or engrossed in the movie. The hoards of parents swarming the buses were a wonderful sight to see, as they awaited their child’s account of their days at Wallops.